Tuberculosis in the Institutional Environment Regulatory Compliance Kit includes the changes in respiratory protection requirements. 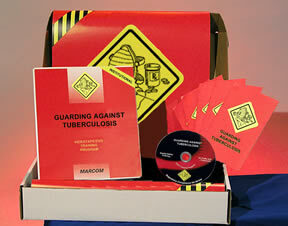 The kit is designed to assist facilities and operations whose employees have a risk of exposure to Tuberculosis. The kit also helps employees understand the nature of the disease, as well as what they can do to protect themselves from infection. Early in 1996 OSHA issued Tuberculosis Directives that enforce the 1994 Center for Disease Control and Prevention (CDC) Tuberculosis Prevention Guidelines, and allow for the wearing of new classes of NIOSH approved respirators/masks as well as HEPA masks. Materials in the kit include a video program, five motivational posters, and 30 employee booklets. The posters in the kit remind employees about the dangers of Tuberculosis. 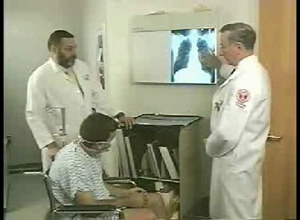 The videotape and employee booklets include information on history of tuberculosis as a disease, epidemiology and symptoms of tuberculosis, modes by which tuberculosis is transmitted, the CDC guidelines, the exposure control plan, recognition of exposure situations, practices to prevent exposure, administrative and engineering controls, selection and use of personal protective equipment (including respirators), and more. The video program in the kit comes with a comprehensive leader's guide, reproducible scheduling & attendance form, employee quiz, training certificate and training log.